To honour the legacy of two extraordinary leaders who left a tremendous impact on our Jewish community, on Canadian society, in Israel, and around the world, a two-acre park located on Sherman Campus will be named the Honey & Barry Community Park. The vibrant Park will reflect Honey & Barry’s passion and excitement for bringing community together. It will be home to summer and winter camps, specialty markets, family nature outings, and community celebrations. Please join us in creating the Honey & Barry Community Park, honouring two visionary philanthropic leaders who so passionately believed in Toronto’s Jewish Community. 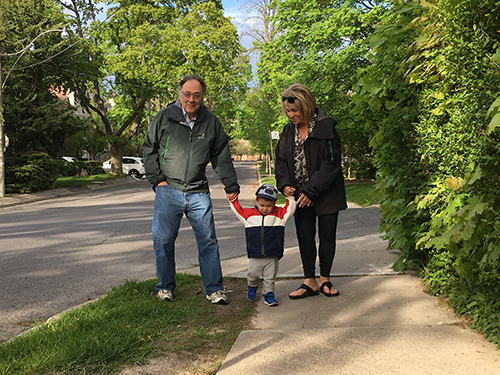 The Community Park Campaign will help to fulfill Honey & Barry's dream of building three engaging hubs of Jewish life in the Greater Toronto Area for generations to come. All gifts to this campaign will go towards creating the Park and ensuring that it is enriched with vibrant programming; and completing UJA Federation’s Tomorrow Campaign. All donors to the Honey & Barry Community Park will be recognized on a donor recognition wall on Sherman Campus. The Jewish community of Toronto, Canada, Israel and the world, has been blessed and enriched by the leadership of Honey and Barry Sherman z”l, who were at the forefront of every major Jewish community initiative. Over the last decade, they worked tirelessly to help UJA Federation complete The Tomorrow Campaign and help transform the Toronto Jewish community. 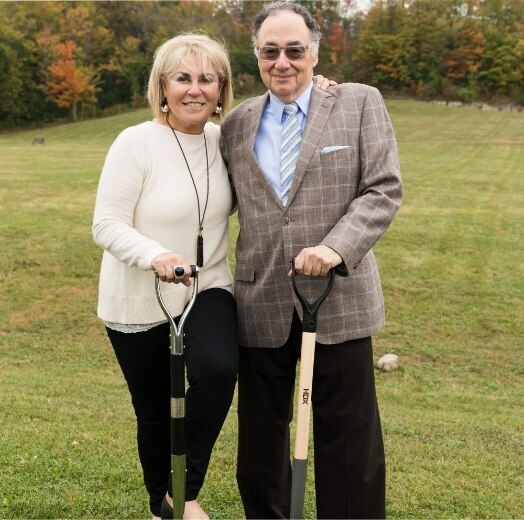 A magnificent, two-acre green space, located at the south end of Sherman Campus, will be named in their honour, and like Honey and Barry, will reflect the dynamic life of our community. Located on Bathurst Street, north of Sheppard Avenue, Sherman Campus is home to major community agencies such as UJA Federation of Greater Toronto, Prosserman JCC, Jewish Family & Child, Jewish Immigrant Aid Services, and Jewish Free Loan Toronto. The Campus serves the entire community through various agencies, community celebrations, Holocaust education, archival and library resources, daycare, supplementary education, and health & fitness facilities. It provides a dynamic hub of engagement for the young, the young at heart, families and singles, immigrants and native Torontonians, while nurturing and strengthening their Jewish journeys. Sherman Campus is located on Bathurst St. just north of Sheppard Ave. The Community Park will be a lively place where the community will come together for concerts, holiday celebrations, and picnics. Specialty outdoor programming will be offered to foster a love of the outdoors and community building for the whole family. With the revitalization of Sherman Campus and the new Community Park, the Jack and Pat Kay Centre Camp will return to Sherman Campus. Hundreds of children will make life-long memories while spending their summer breathing fresh air and enjoying the beautiful outdoors that the Community Park provides. 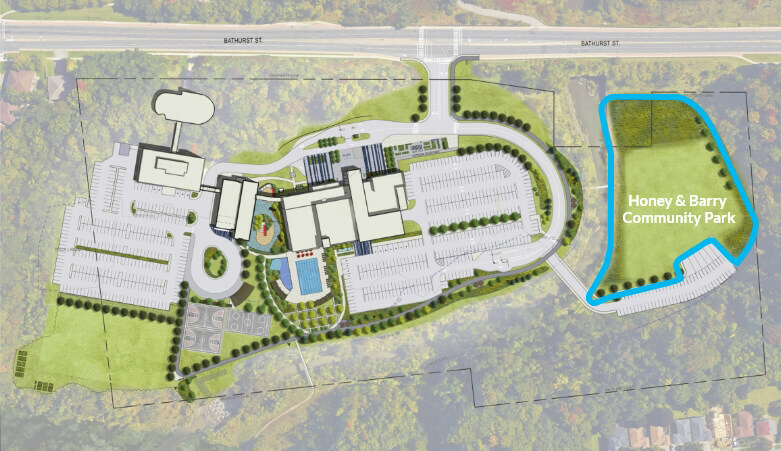 The Community Park will be a magnet for activities, from baseball games in the summer, to picnics in the fall, cross country skiing in the winter, and nature hikes in the spring. With a beautiful two-acre space, the park could be home to specialty community markets such as summer farmers’ markets. Set within the Toronto and Region Conservation Authority-protected Don Valley ravine system, Sherman Campus is part of Toronto’s 600-kilometer trail system, continuing north to G. Ross Lord Park and south to Earl Bales Park.